LAURENCE from a child longed to be a Saint; and when he was nineteen years of age there was granted to him a vision of the Eternal Wisdom. All earthly things paled in his eyes before the ineffable beauty of this sight, and as it faded away a void was left in his heart which none but God could fill. Refusing the offer of a brilliant marriage, he fled secretly from his home at Venice, and joined the Canons Regular of St. George. One by one he crushed every natural instinct which could bar his union with his Love. When Laurence first entered religion, a nobleman went to dissuade him from the folly of thus sacrificing every earthly prospect. The young monk listened patiently in turn to his friend’s affectionate appeal, scorn, and violent abuse. Calmly and kindly he then replied. He pointed out the shortness of life, the uncertainty of earthly happiness, and the incomparable superiority of the prize he sought to any his friend had named. The nobleman could make no answer; he felt in truth that Laurence was wise, himself the fool. He left the world, became a fellow-novice with the Saint, and his holy death bore every mark that he too had secured the treasures which never fail. As superior and as general, Laurence enlarged and strengthened his Order, and as bishop of his diocese, in spite of slander and insult, thoroughly reformed his see. 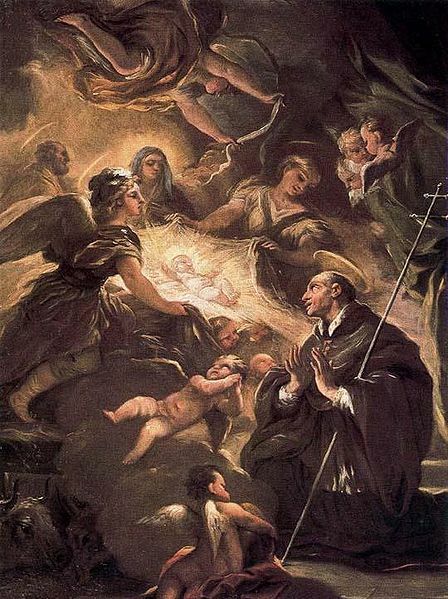 His zeal led to his being appointed the first patriarch of Venice, but he remained ever in heart and soul an humble priest, thirsting for the sight of heaven. At length the eternal vision began to dawn. “Are you laying a bed of feathers for me?” he said. “Not so; my Lord was stretched on a hard and painful tree.” Laid upon the straw, he exclaimed in rapture, “Good Jesus, behold I come.” He died in 1435, aged seventy-four. Reflection.—Ask St. Laurence to vouchsafe you such a sense of the sufficiency of God that you too may fly to Him and be at rest.